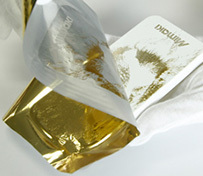 A graphic design is printed on an object with UV primer ink (adhesive) and the foil is applied to adhesive areas. 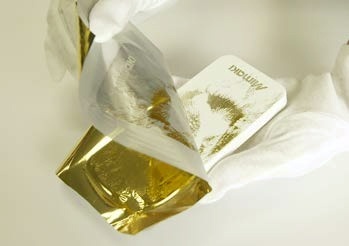 Various colors and textures are presented by using silver, gold and holographic foils. In addition, print colors change to metallic colors by printing on the transferred foil. Moreover, clear ink printing or doming add value to the product.